Each slab of granite has its own unique color and characteristics. No two pieces are ever alike. Its natural appearance provides an atmosphere of relaxed comfort. 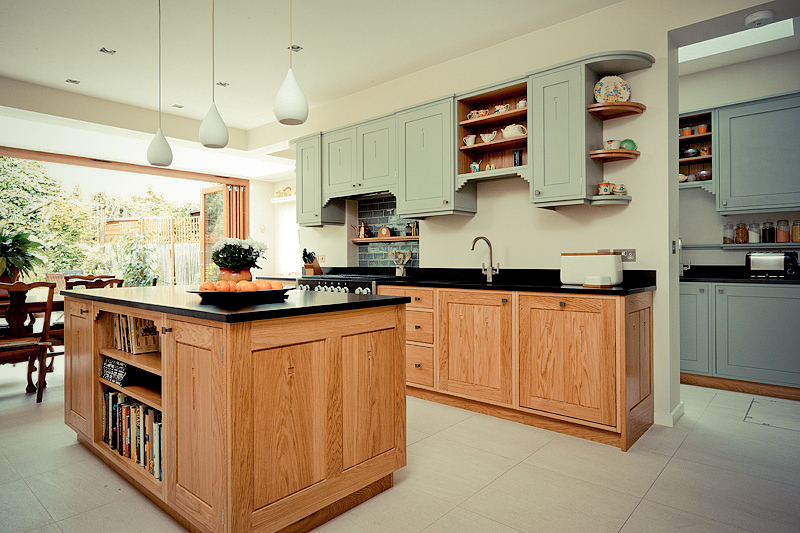 Its ageless beauty gives a fine touch of elegance on any kitchen. Thanks to its mineral composition, granite is extremely durable and scratch-resistant. It is also impervious to water and heat. What’s more, it has the ability to withstand constant use and abuse while holding its luster. Under normal conditions, it will generally last forever. These rocks have been around for millions of years and should last longer than your home itself. Just wipe off the stains and liquids after every use. Need I say more? Yes, it may be a bit costly compared to using tiles, but it’s a one-time investment that offers a lifetime reward. Sooner or later, you will realize that the price you paid for your granite slab is nothing compared to a safe and maintenance-free kitchen experience. In the long run, the cost per square meter of granite is more efficient compared to replacing Formica every 10 years. 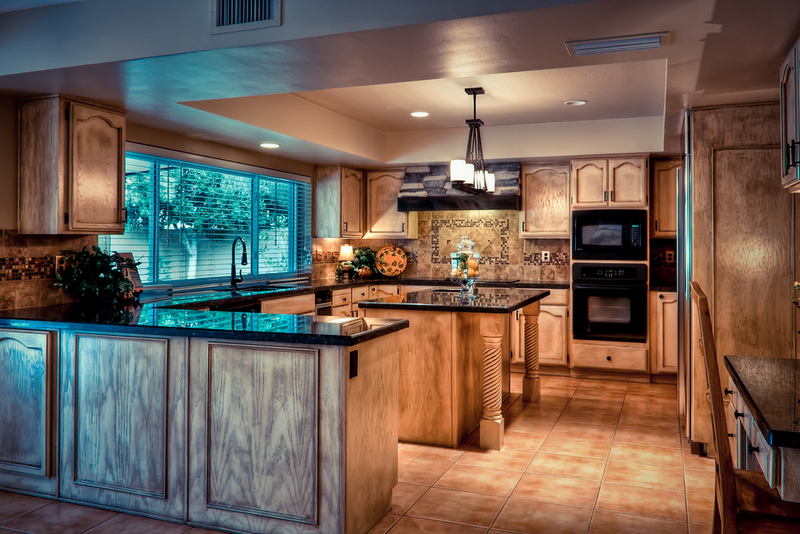 In addition, granite installations increase the value of any home. Having it as your kitchen countertop material is definitely a selling point should you decide to put your house on the market. It’s been used for centuries and has never been out of the limelight. Other countertop materials have experienced peaks in popularity, only to be followed by a drifting interest. Granite, on the other hand, has been, and still is, the preferred countertop material for homes. Edges can be custom-built to fit into any architectural design. Be it a vintage or modern kitchen, your granite countertop, combined with the right edge profile, will complement well with your preferred style. The range of colors of granite counters is practically unlimited. Whatever the color scheme of your kitchen is, its always easy to find the right countertop shade that will perfectly match your paints and cabinets. Being a natural material, it is important to consider that there will always be variations in colors and patterns in each and every slab. Some have a consistent pattern, while others exhibit waves of movement and color throughout the surface. Traditionally, granite countertops are sought after by chefs because of its cool surface. This allows dough, pie crusts and candies to be rolled out directly on the countertop, since food usually won’t stick to it. It also prevents delicate pastry crust from becoming overworked and tough. Granite is a natural heat sink. It absorbs heat rather than reflecting it back up to your food. A thin dusting of flour is all that is necessary to produce the best results. Second to stainless steel, it provides excellent bacteria resistance, based on the report provided by the Hospitality Institute of Technology and Management. According to the study, among six countertop materials– Concrete, Tile, Granite, Wood, Laminate, and Stainless Steel– granite ranked highly in surface cleanliness. Everyone’s going “green” nowadays. Why not choose a material which is both natural and attractive? With a granite countertop, not only will you have a gorgeous kitchen, but also an environmentally safe food preparation surface. In case you are worrying about your kids damaging your precious countertop, you need not worry. It’s unlikely. Granite, as stated above, is durable and resistant to scratches. You need not worry, too, about those sharp edges. You can choose to use a bullnose edge as it provides a lesser threat to the little hands and heads of your children. This entry was posted in Granite and tagged Bullnose, Care, Cleaning, Counter Top, Countertop, Granite by saintmarkcs. Bookmark the permalink.